Located in the Regal Oaks Community, Upper Pottsgrove, this move in ready home is waiting for you. Entering into the center foyer you will find hardwood floors, tasteful decor and a great layout. The large sunny living room has a cozy wood stove for supplemental heat. The formal dining room is just off of the large eat-in-kitchen which has been updated and features ample cabinetry, recessed lighting and stainless appliances. Step down into the family room with its wrap around shelving and French doors to the flagstone patio. A convenient main floor laundry room and half bath complete the first floor. Upstairs you will find a spacious master suite with large closet and private master bath. There are also three additional bedrooms as well as an updated hall bath with double vanity. Brand new carpet was just installed! A finished bonus room in the basement provides many options. 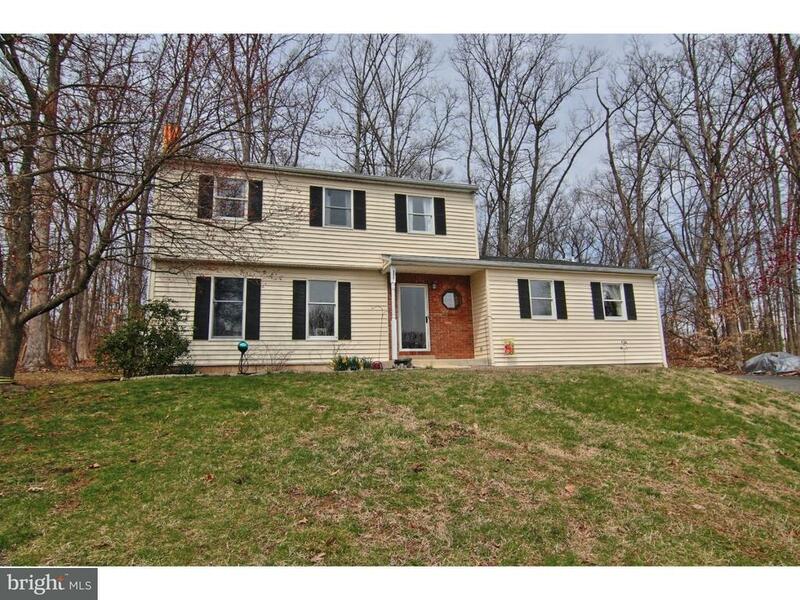 This home is situated at the end of a cul-de-sac street which allows for wooded privacy. Backs up to 7.5 acres of woods. Great location convenient to shopping, restaurants and Rt 100 for easy commuting! Pottsgrove School District. Well water & public sewer. Come take a look at this great home today and be in it by summer!